Rules on waving flags during Eurovision Song Contest are published, including bans on PLO and ISIS flags. As the annual Eurovision Song Contest approaches, the Stockholm theater hosting the event has published the rules about waving flags, and enumerated several flags that will be forbidden. Flags with commercial messages, those that discriminate against sectors of the population, those that disrupt the broadcast and those with messages in languages other than English will not be permitted. The specific list of banned lags include those of Kosovo, Basque, the Crimean Peninsula, the PLO, Donetsk, Northern Cyprus, Transnistria and ISIS. 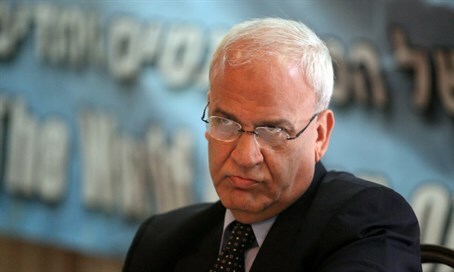 Saeb Erekat, a senior member of the Palestinian Authority, sent a letter in response, demanding an apology from the organizers and the European Broadcasting Union. He wrote, "Your decision to single out the flag of Palestine, a country recognized by 138 world nations and who has an observer status in the United Nations, is discriminatory and a serious offense against our nation." Erekat added that the competition is taking place in Sweden, the first Western European member of the EU to recognize "Palestine" as a state.